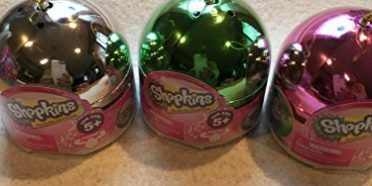 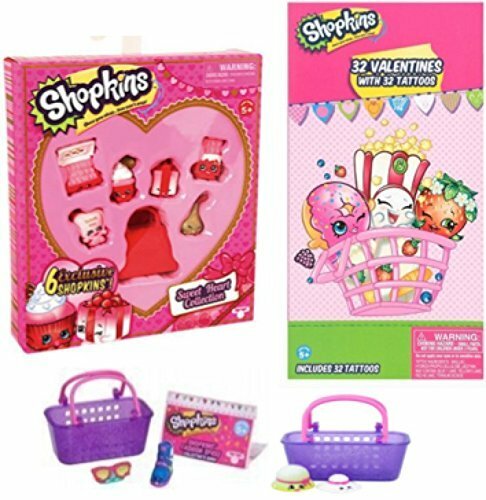 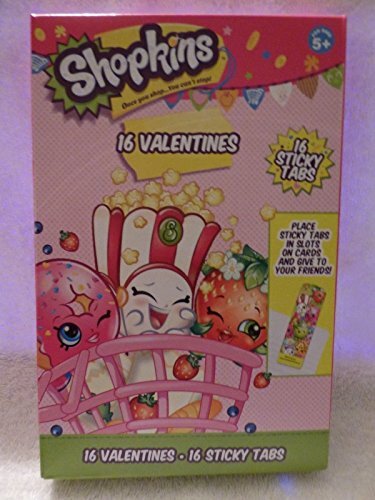 Shopkins Valentines Sets. 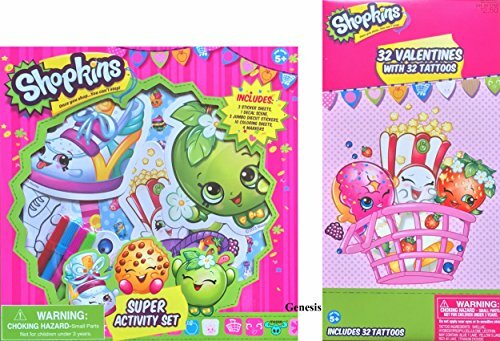 Find the perfect Valentine’s gift for your favorite Shopkins Fan. 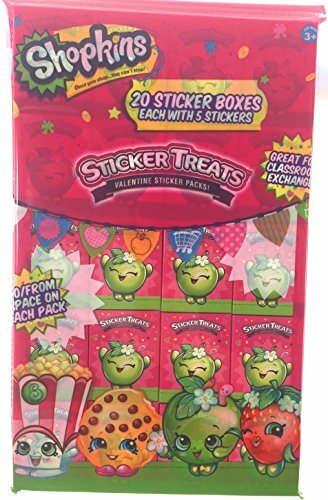 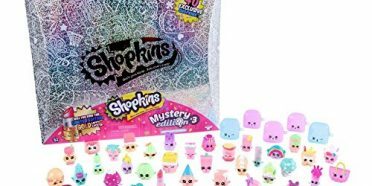 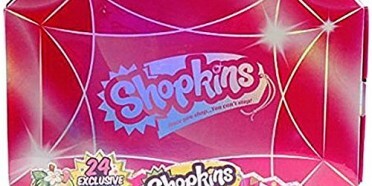 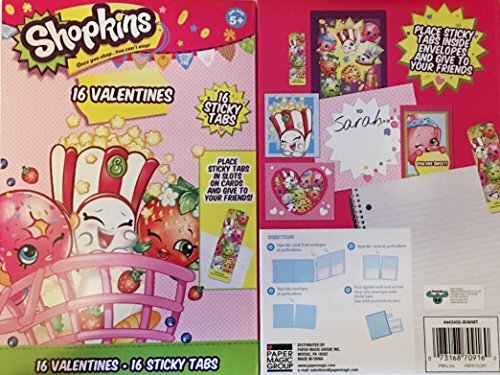 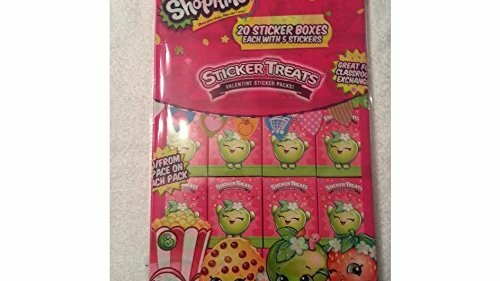 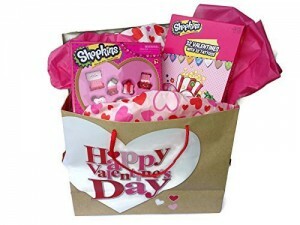 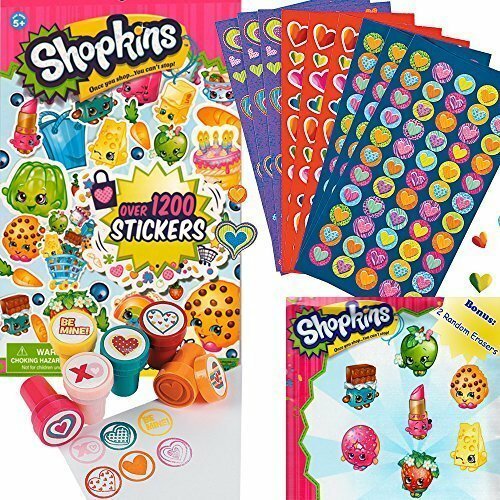 Shopkins Valentines with Sticky Tabs ~ 16 count ~ 1 box perfect for classroom exchange. 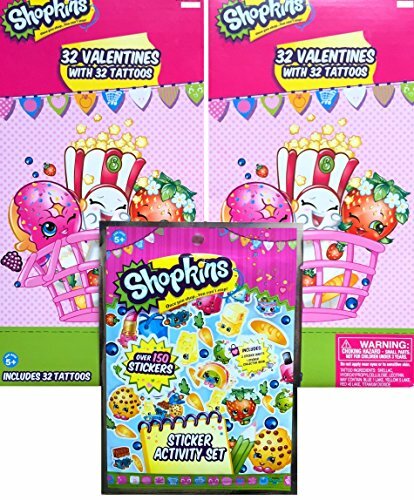 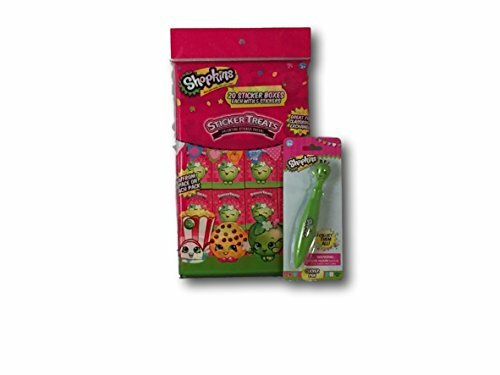 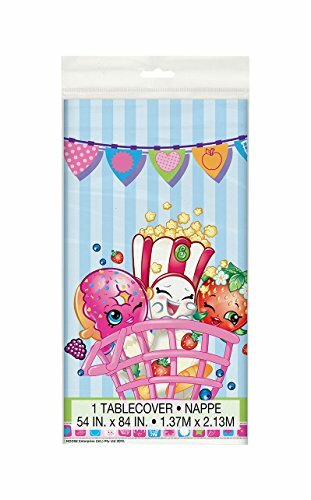 Your little Shoppie will love addressing her Shopkins valentine sticker packs with her Apple Blossom Pen. 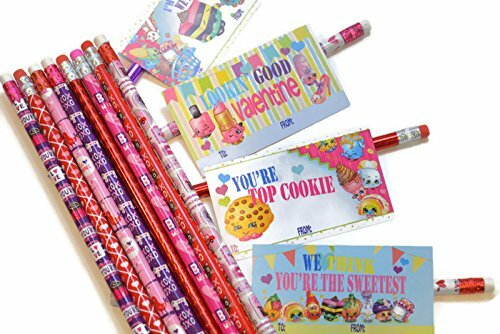 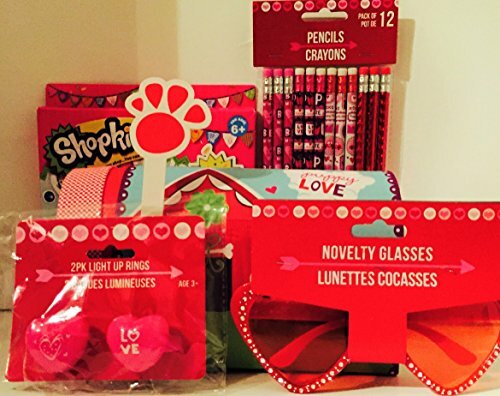 A Valentine Treat for her classmates and a fun pen for her to keep. 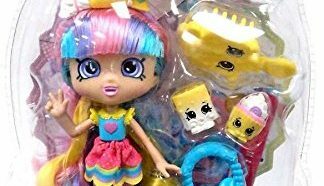 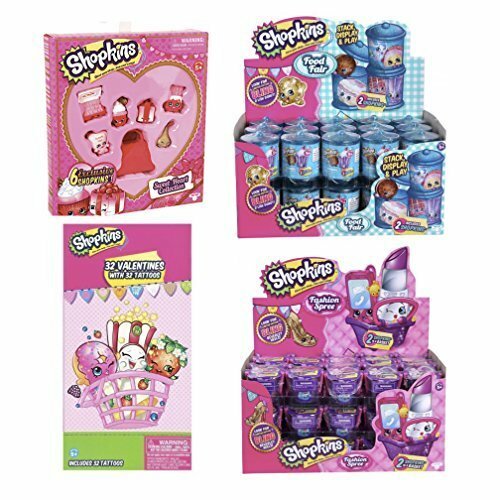 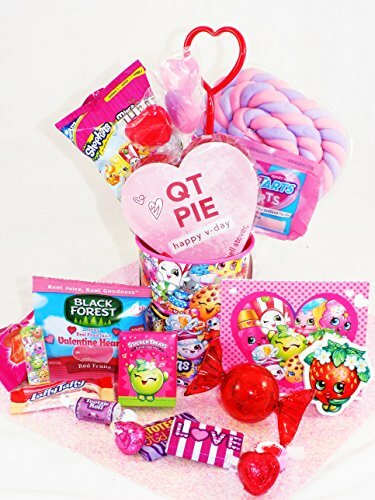 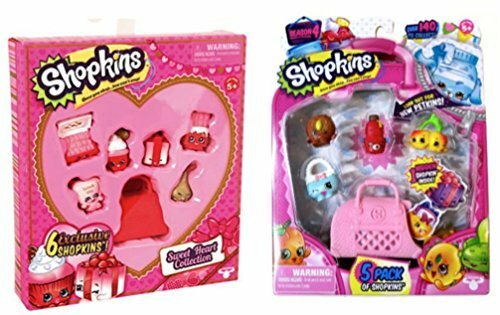 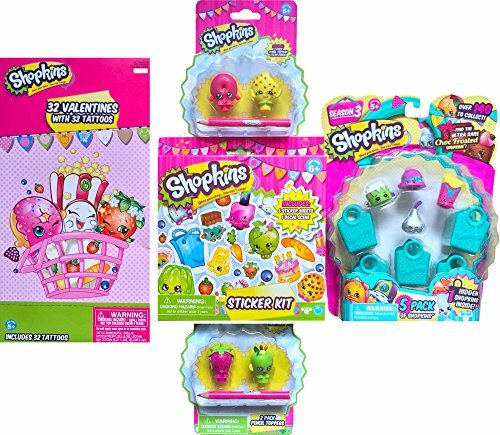 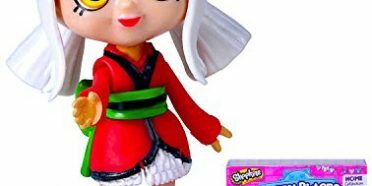 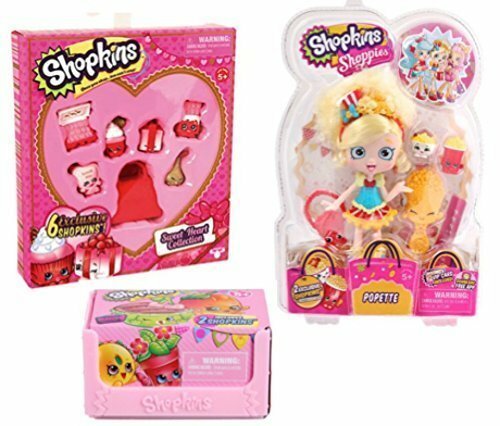 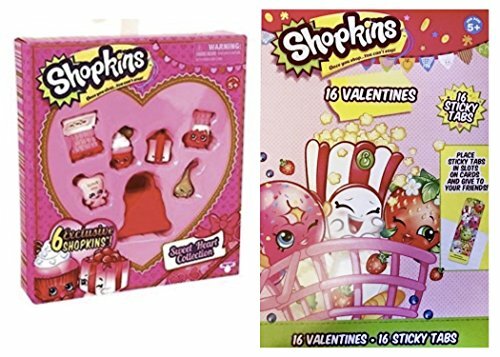 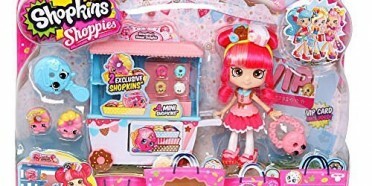 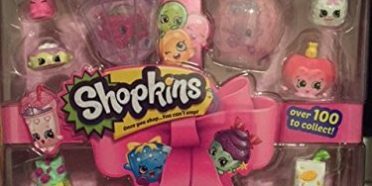 Shopkins Shoppies Valentine’s Day Bundle – Poppette Doll + Sweetheart Collection + Season 4 2-Pack!